The Joyful Mysteries—the Annunciation, the Visitation, the Nativity, the Presentation, and the Lost Jesus Found in the Temple. The Sorrowful Mysteries—the Agony in the Garden, the Scourging, the Crowning with Thorns, the Carrying of the Cross, and the Crucifixion. 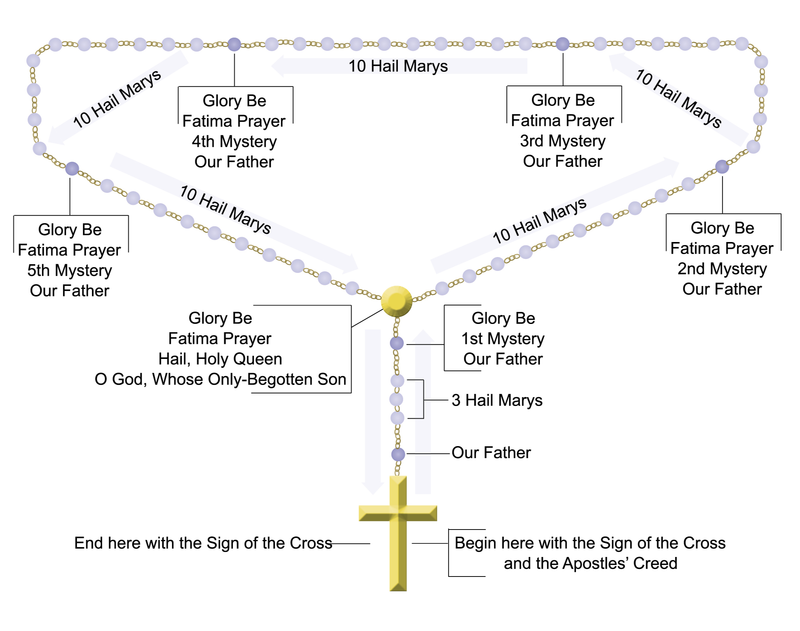 The Glorious Mysteries—the Resurrection, the Ascension, the Descent of the Holy Spirit, the Assumption of the Virgin Mary, and the Coronation of the Virgin Mary as Queen of Heaven. The Luminous Mysteries—the Baptism of the Lord, Jesus’ First Miracle at the Wedding at Cana, the Proclamation of the Kingdom, the Transfiguration, and the Institution of the Eucharist at the Last Supper.